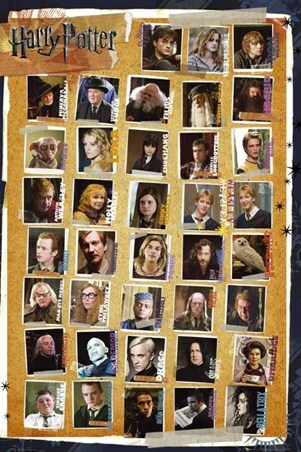 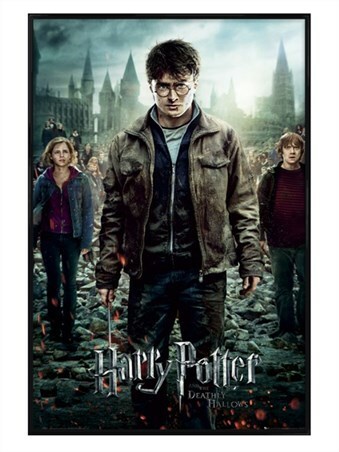 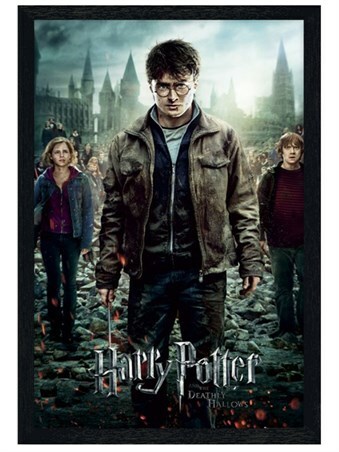 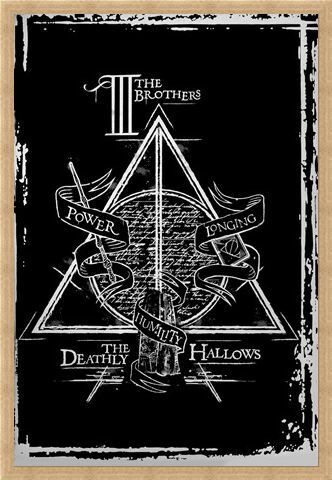 Film Maxi Poster: Transport yourself into the wizarding world of Harry Potter and hang this spell-binding poster of the Deathly Hallows on your wall. Set on a jet black background and with a weathered effect, the three highly powerful magical objects are pictured in the centre. 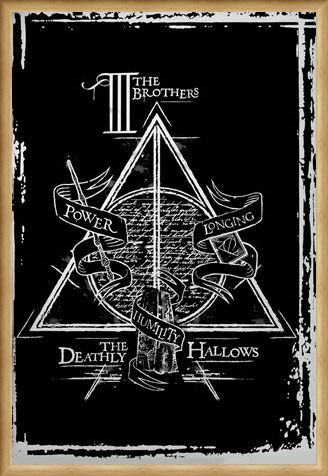 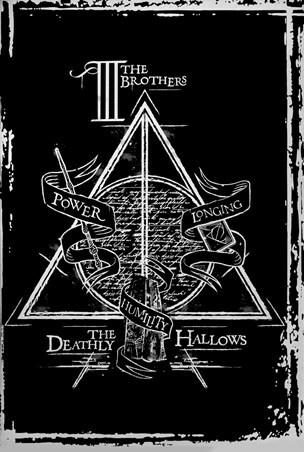 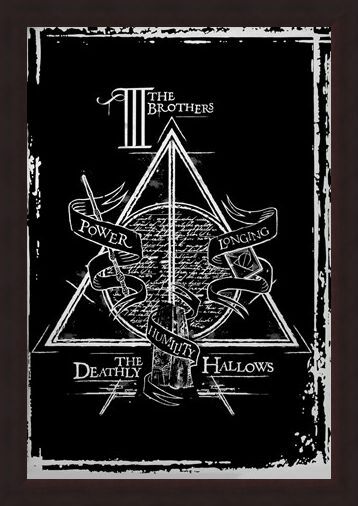 Consisting of the Elder Wand, the Resurrection Stone and the Cloak of Invisibility, together they form the Deathly Hallows, allowing whoever possesses the three artefacts to become the Master of Death. 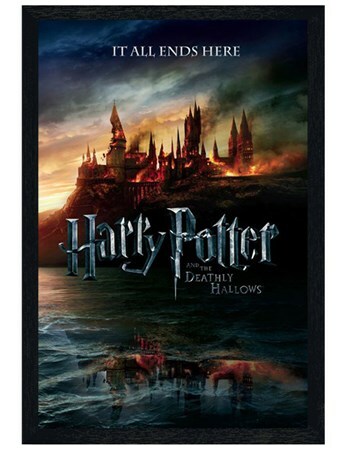 If you're a fan of the hugely popular Harry Potter series, this is a must-have addition for all witches and wizards out there. 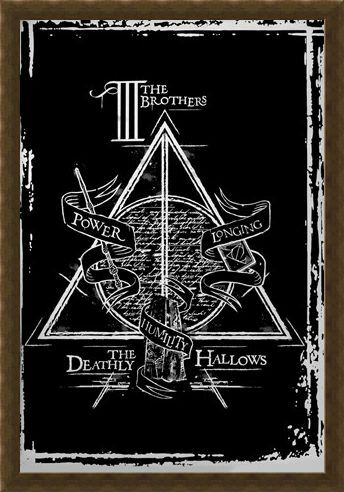 High quality, framed Deathly Hallows Graphic, Harry Potter poster with a bespoke frame by our custom framing service.